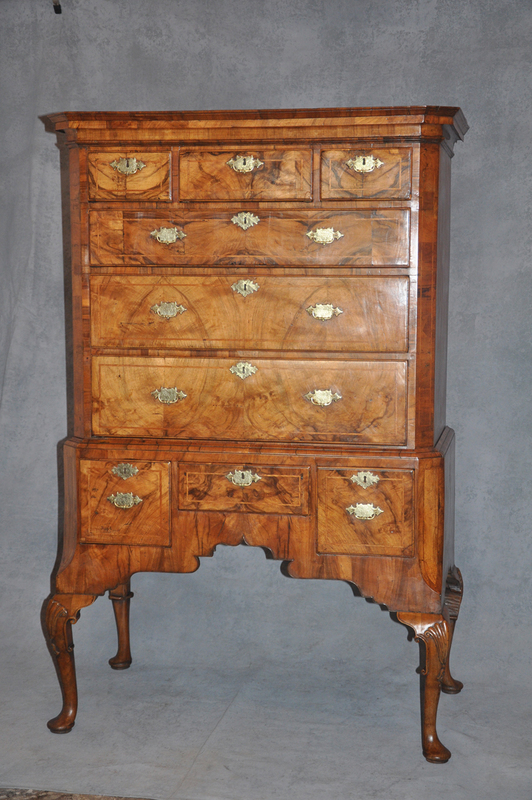 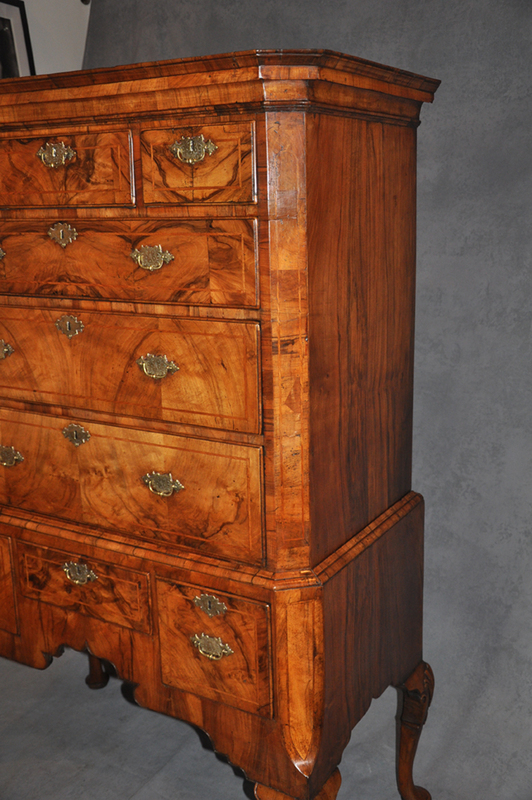 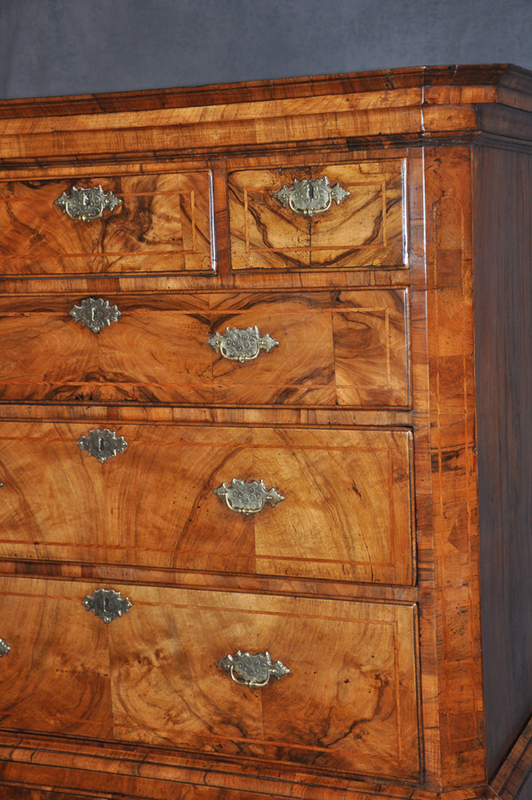 A fine and excellently proportioned Walnut chest on stand from the George 1st period with matched figured walnut veneers and canted inlaid corners. 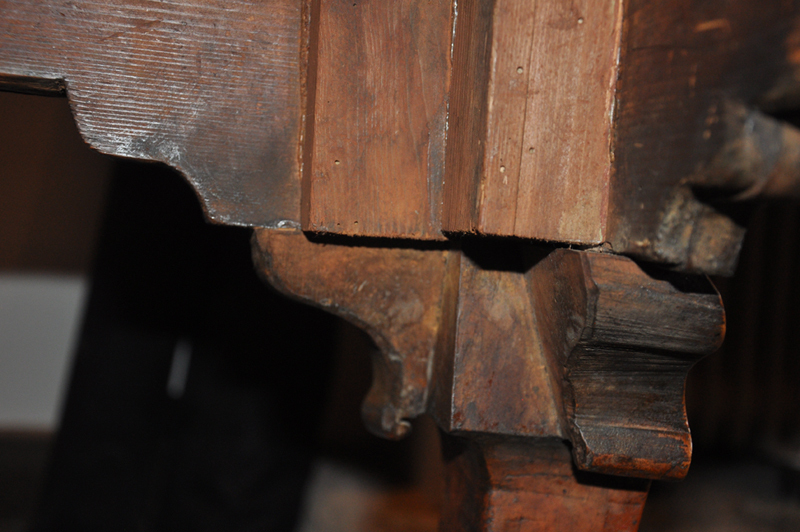 The very nicely carved cabriolet legs have been replaced in keeping with the period some time ago. 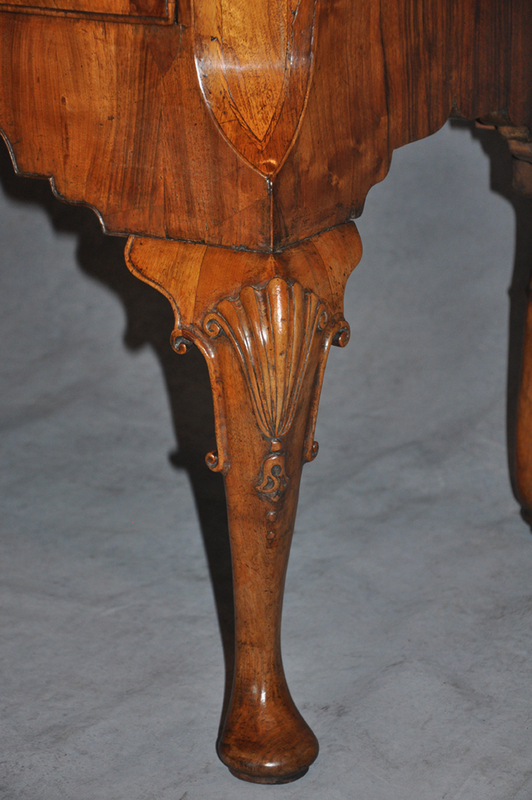 The Oak linings are in good clean condition. 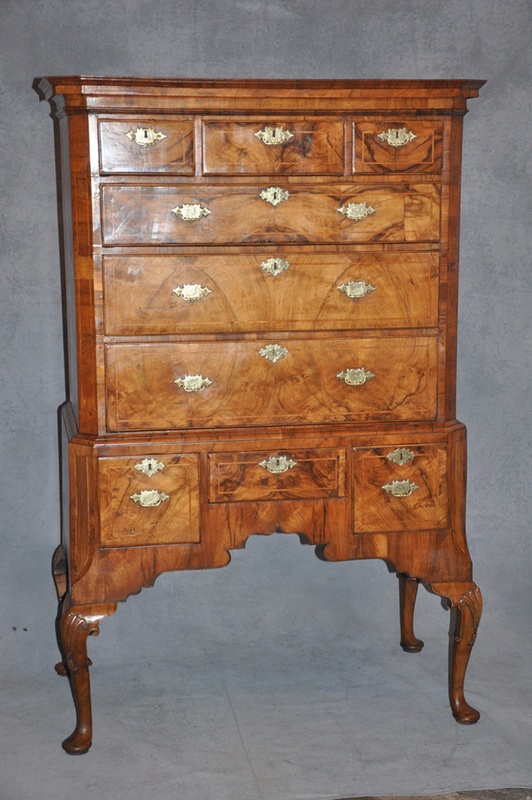 The condition of the chest is very good and lovely faded honey colour.